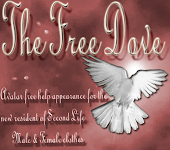 There are three January mini hunts going on at The Free Dove! and a 150L gift card! Update: Make a purchase and the designer will refund you 150L.